Nick Barton took up the appointment of Chief Executive at Birmingham Airport on 7 January 2019, having joined the Airport at an exciting time in its history following the recent announcement of the ambitious draft Master Plan covering the next 15 years. The Airport is undertaking a £500m programme to upgrade and expand capacity of the terminal operations, aircraft stands and support facilities, and meet the expected increase in passengers from 13 million to 18 million passengers over the life of the plan. 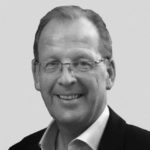 Nick came into the Airport sector with over 27 years’ experience of managing and leading infrastructure and property operations having been Chief Executive of a leading property asset management company.